The city of Tsukuba, Ibaraki Prefecture, enjoys mild climate and an appropriate amount of rainfall, comparable to the city of Kofu in Yamanashi Prefecture, the most famous grape-producing region in Japan. Mount Tsukuba’s granite-rich soil has also been noted as being similar to that of Rhone in France, Sardinia in Italy or Granite Belt in Australia, which are world-renowned producers of fine wines. To facilitate this, the city applied to the national government to be designated as a special deregulation zone for producing wines and fruit liqueurs. The city was excited to receive the approval on Dec. 26, 2017, making Tsukuba the first zone in the prefecture to be authorized to manufacture such products using locally produced grapes. The approval provided direct advantage to two small local vineyards, Bee’s Knees Vineyards and Tsukuba Vineyard. Both were helped as the zone-related Liquor Tax Law reduced the minimum amount of produced wine for small wineries from 6 kiloliters to 2 kiloliters. Wine made of grapes of Tsukuba Vineyard, of which Manabu Takahashi is a representative, began being for sale in fiscal 2016. Seeking out the best species and growth methods to match the terrain and climate of Tsukuba, Takahashi has been keen on soil control by paying attention to its microorganisms, using organic fertilizers, limiting pesticide use and taking other factors into consideration. 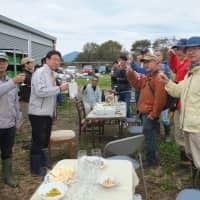 Currently, Takahashi is waiting on the construction of his own winery in 2020. Bee’s Knees Vineyards’ Kotoyo Imamura started growing her own wine grapes in 2015. Her love of wine fuelled her desire to return to Tsukuba and start a vineyard, as she was curious to discover what kind of wine could be produced from grapes grown in the area around Mount Tsukuba. Though still operating on a small scale, Imamura finds a certain growth potential in her Bee’s Knees wines, which have a distinctive body and a mineral aroma unrivaled by other domestically produced wines. She hopes her grapes will grow well over the coming seasons, allowing an increase in her vineyard’s production volume, ultimately expanding her wine’s distribution. The city also supports such activities by providing subsidies to prepare vineyards and purchase grape saplings. 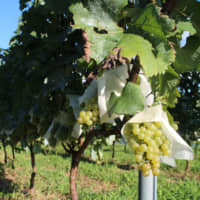 Another unique feature of Tsukuba is its scientific approach to viticulture and winemaking. 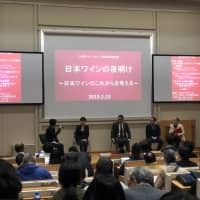 By collaborating with the University of Tsukuba and France’s Bordeaux region, a wine workshop was held in early February featuring wine specialists from Bordeaux. 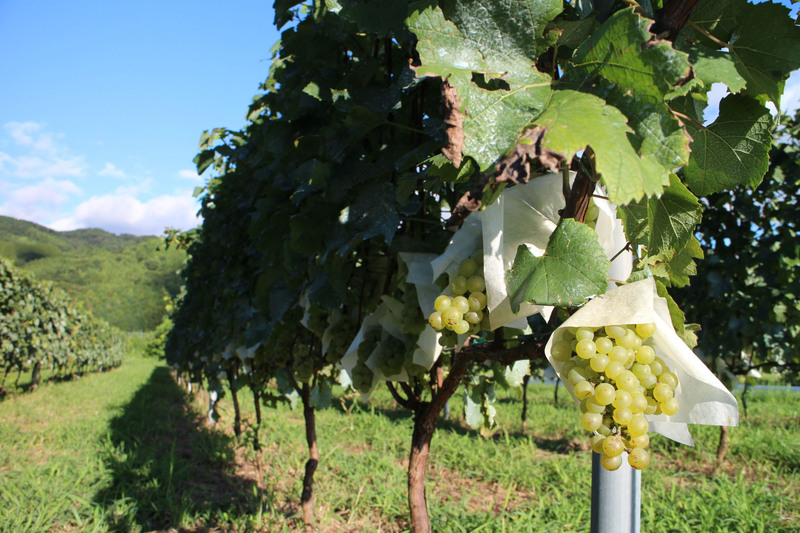 Further plans are in place for a collaborative team to advise vineyards in choosing the best grape species and viticulture methods that suit Tsukuba’s climate and terrain. 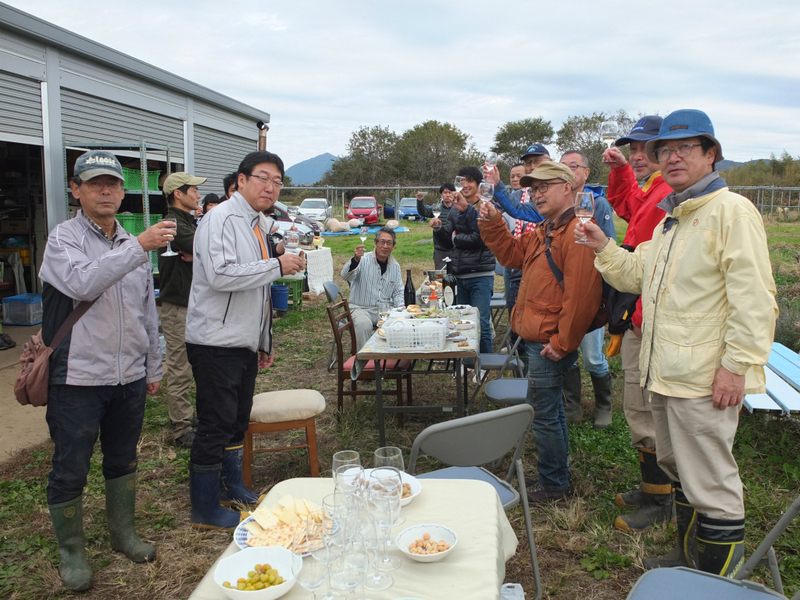 “I hope consumers will come to enjoy Bee’s Knees wines together with the rich and flavorful foods of Tsukuba,” Imamura said. Takahashi also holds a bright outlook on wines produced in Tsukuba, and looks forward to new entrants in the local wine scene. 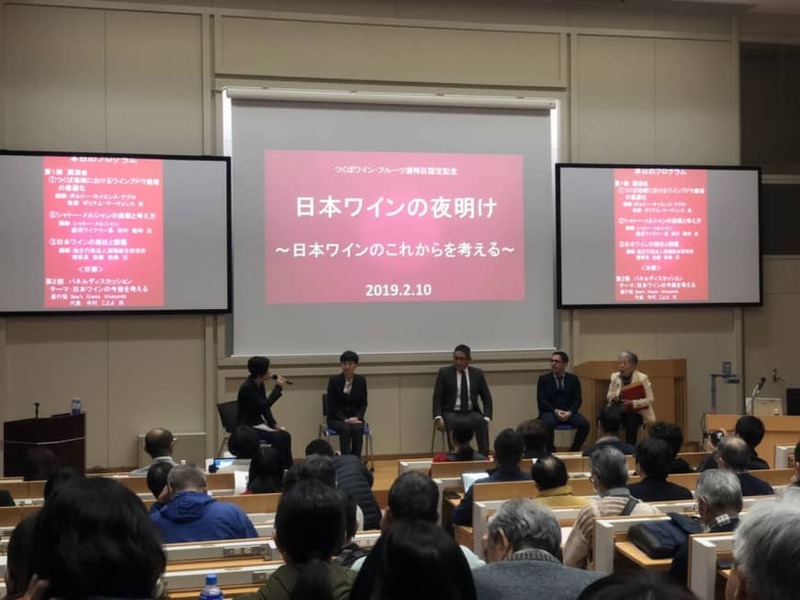 “Tsukuba wine can become a trigger for turning the city into a wine and agricultural tourism spot, and I hope wine festivals can be held in the future through collaboration with local industries, including accommodation facilities and restaurants,” he said. Looking ahead, Tsukuba is eventually expected to grow into an attractive tourist destination blessed by a scenic natural setting, and where original wines can be paired with dishes made with local ingredients. 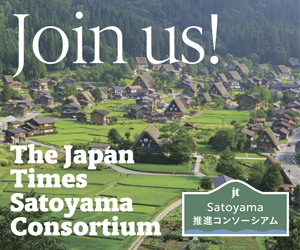 This series introduces municipalities and local companies promoting the beauty and excellence of deep Japan.